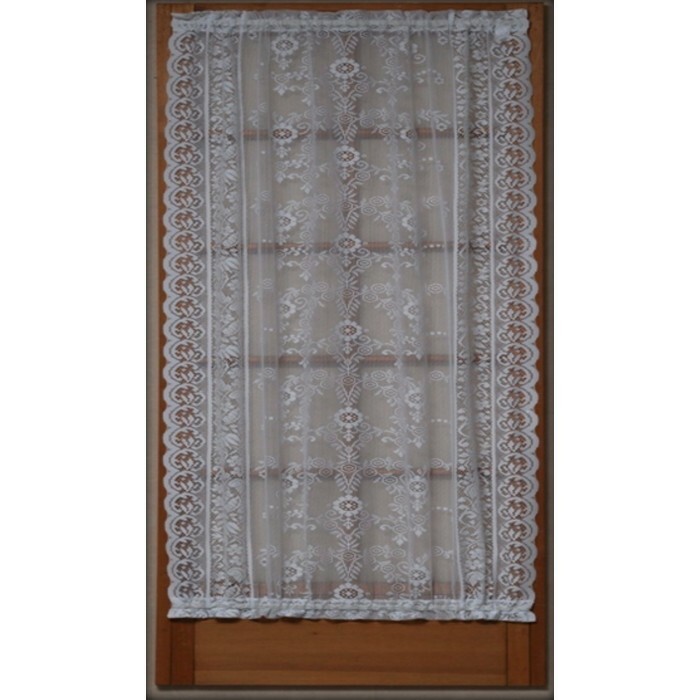 With elegance the Windsor Lace Door Panel filters light while allowing for privacy. Available in a variety of lengths. 100% polyester. Machine Washable. Sizing Tips: Measure your window frame width, add 2 inches on either side for hardware placement. For proper fullness, panels and/or top treatments should measure 2-3 times the width of your window. Please allow approximately 3-7 business days for this item to ship. Shipping time will vary depending on the location we are shipping to. This item ships via UPS only. Please note that this item may ship separately from other items in your order. 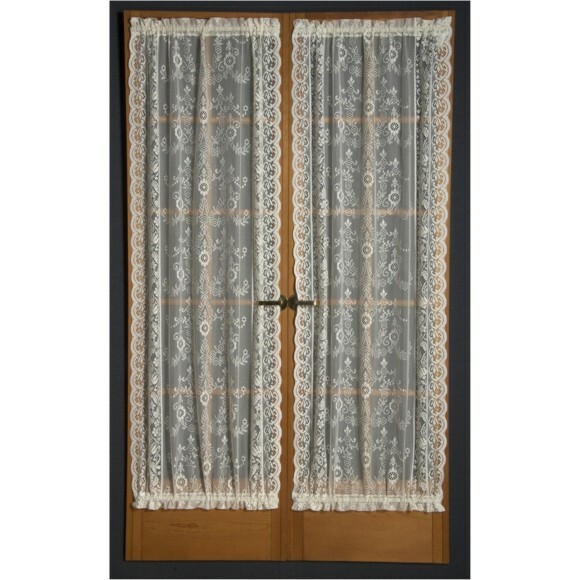 hard to find real lace curtains.they look great. Exactly as the picture showed it. Very well made and pretty. 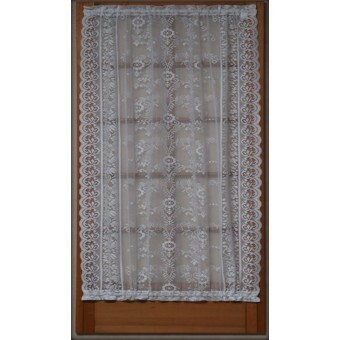 Lace panels are gorgeoius and excellent quality.. 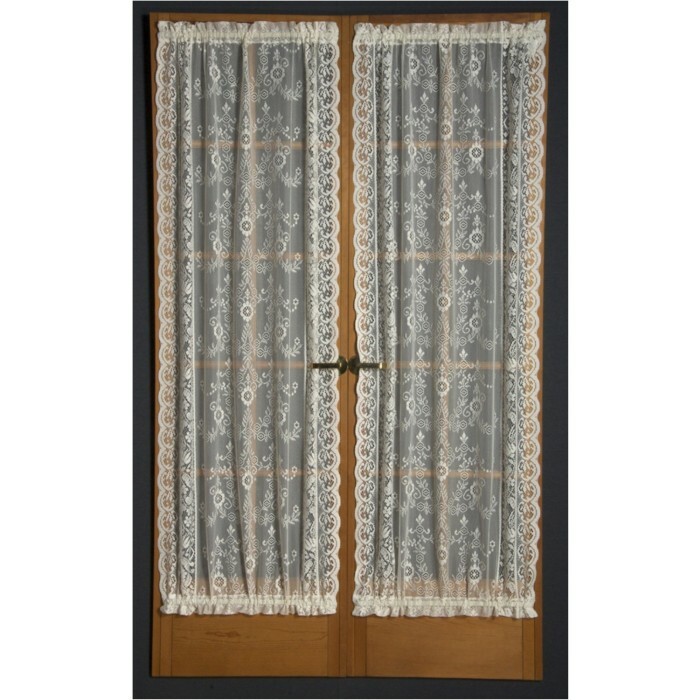 I had a very hard time finding white lace panels to replace the ivory ones I had up. These are exactly what I was looking for. 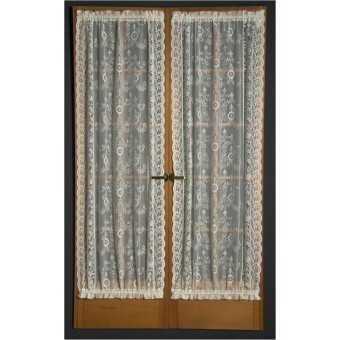 They are great quality, there were several sizes to chose from and I love the pretty edging and detail. Just perfect! I found a similar set elsewhere for much more money. I am very pleased with this purchase.